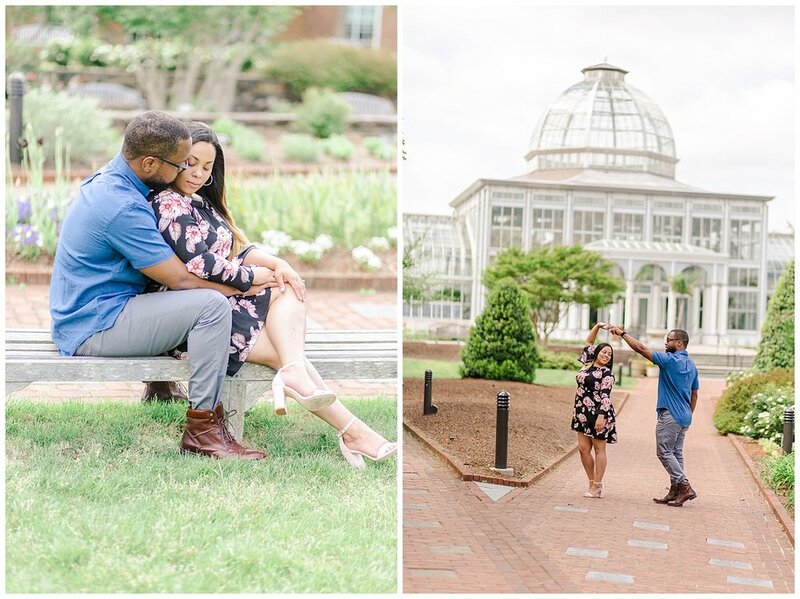 CJ took Candice to Lewis Ginter Botanical Gardens for a date to walk through their beautiful gardens. 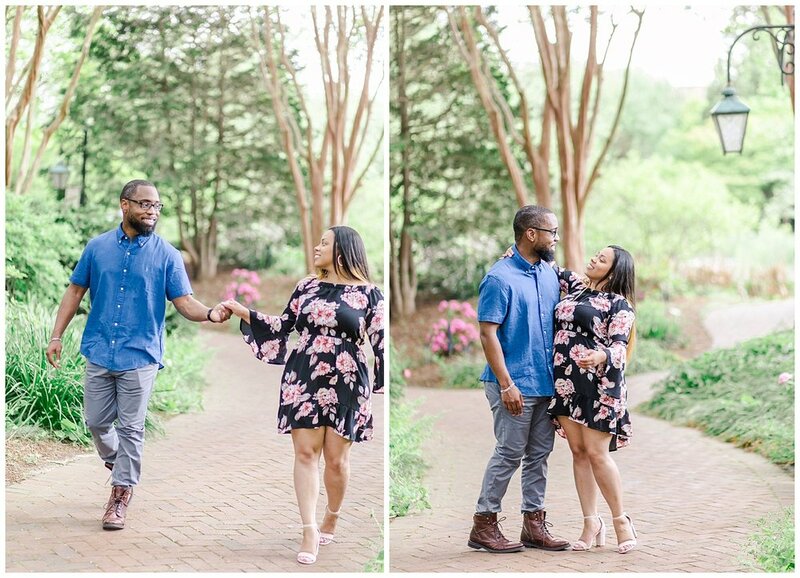 Candice loves flowers and so she didn't suspect anything out of the ordinary until CJ got down on one knee and proposed! 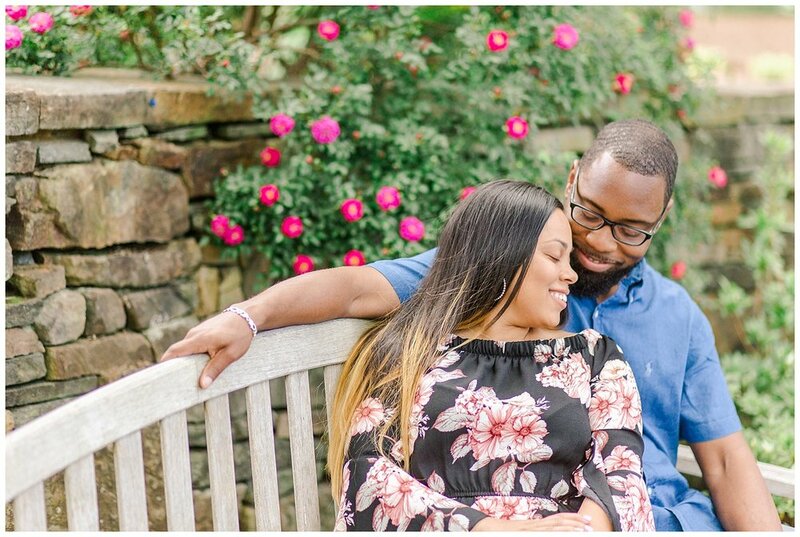 The two will be returning to the gardens in June 2019 to say, "I do!" 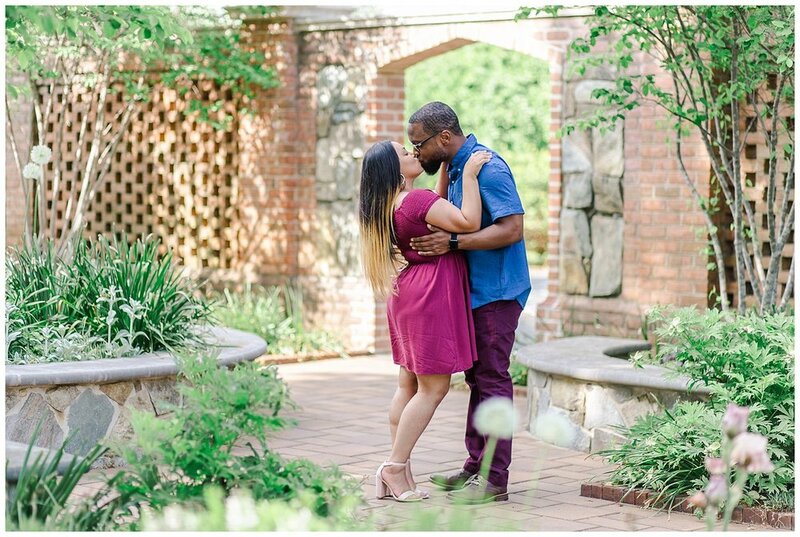 so It was only natural they would select this special site to take their engagement photos!